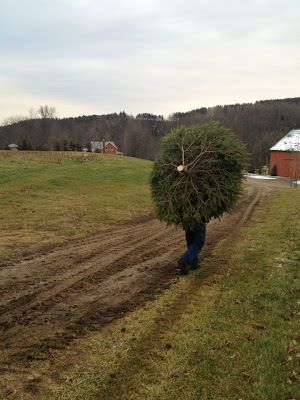 girl.meets.farm: Christmas tree, Oh Christmas tree! 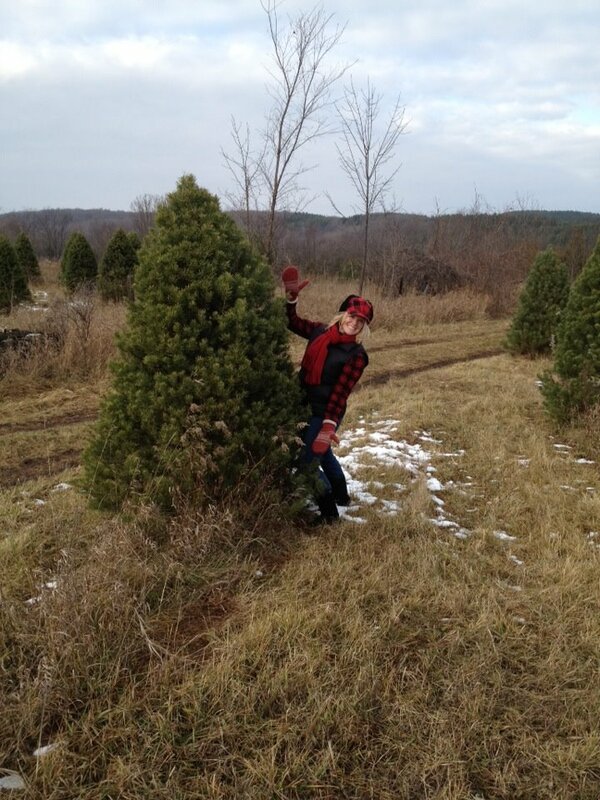 The smell of fresh pine has a way of transporting you back to a moment of childhood. I stood in the centre of the tree farm breathing deeply. We were on a quest. To find the perfect Christmas tree is no easy feat. It can't be too tall, or too short. Too fat, or too skinny. It has to have the right amount of branches, and the right overall look. It must of course have a branch right at the top for the angel to perch on. Sadly, there was no snow this week - it felt a bit odd to be traipsing around the tree lot in the mud. Not exactly festive. We walked for about a half hour, pondering our possibilities, but we still hadn't found our tree. It was getting late, and we decided to walk back to the entrance and have a look at the pre-cut trees. And then we saw it. Right by the entrance. Our tree. My dear sweet fireman began to saw away, and within moments he had it hoisted on his back. It is amazing how they always seem so small until you cut them down!